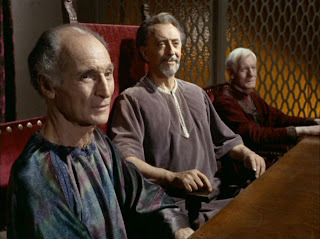 Season One of TOS is in the books at Treknobabble. 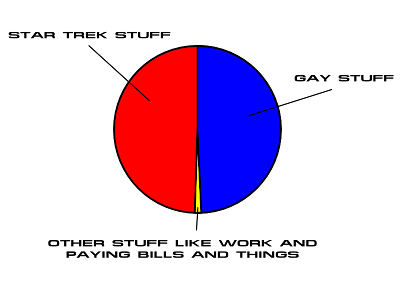 How did it fare? 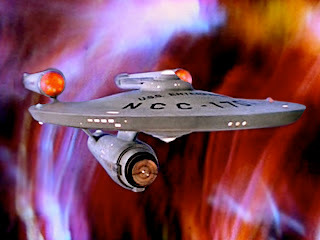 Going boldly where many a nerd has gone before... but in blog form. The review for "Operation Annihilate!" has just posted, and with it, we have come to the end of the first season of The Original Series. As I type this, we are hip-deep in reviewing the second season, and before I get into a substantive review of the first season, I just want to say how much fun the blog has been so far. It's led to some fasicnating conversations. And, assuming they are who they purport to be, Mike Okuda and James Doohan's son Chris Doohan follow us on Twitter. I think that's genius. 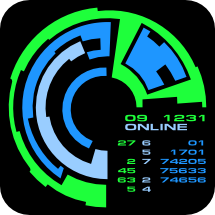 The Original Series, Season 1: Operation -- Annihilate! The Enterprise crew travel to Deneva, a Federation colony and home to Captain Kirk's brother Sam and his family. When they arrive, they find most of the colonists dead, the few remaining alive are violently mad. The cause is quickly discovered, a plague of giant neural parasites that cause mass insanity and seem impervious to all attempts to stop them. Can Captain Kirk protect his ship from this latest threat? 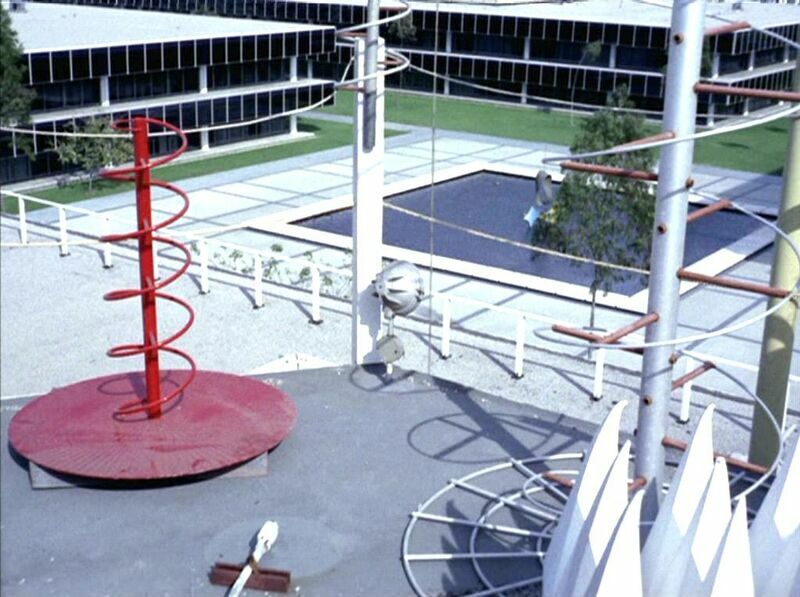 Future playgrounds look confusing and dangerous! Look out, Jimmy! This episode is a sad let down from the previous City on the Edge of Forever. Hokey effects and pacing issues drag this episode down to a 2 from both of us for a total of 4. The best part of this episode is the interesting typographic choices in the title. A whimper of an ending to an otherwise bang-filled first season. Our next post will be recapping some thoughts on the first season of Star Trek, but for now, enjoy the episode and the podcast. 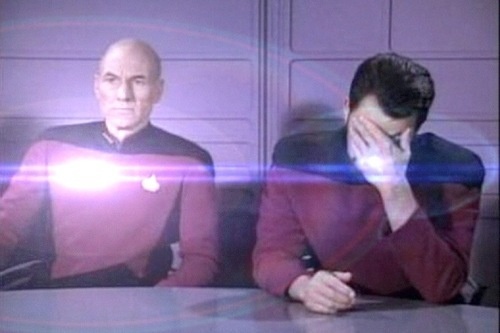 Lens Flare App for your iPhone allows you to ruin any Trek screenshot you like! There's really nothing to say in this story that is not also said in the linked io9.com post right here. 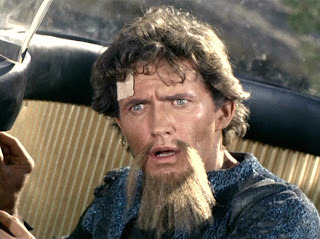 After being accidentally injected with a powerful psychotropic medicine, Dr. McCoy beams down to a mysterious planet that is home to a powerful being that allows him to travel back in time. Kirk and Spock beam down to stop him, but find that history has been in some way altered. They follow McCoy back to Earth during the 1930s. There they must find McCoy and undo what damage he has done. Complicating matters is a beautiful and enlightened social worker that Kirk immediately falls for. Will Kirk be able to reset history and what will it cost him to do so? Hey, Guardian, can we get color on this thing? This is hands down, one of the best hours of Star Trek, maybe even one of the best hours of television ever. A strong science fiction story is bolstered by top notch writing and heart-wrenching performances by main and guest cast alike. This got an emphatic 5 from both of us for a well deserved total of 10. Enjoy the podcast and the episode. 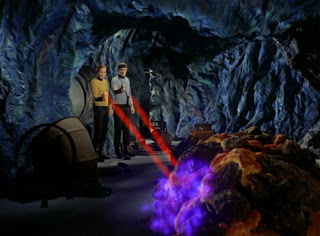 The Enterprise encounters a strange effect while exploring an abandoned planet - space seems to "wink out" for a moment. They are shocked to learn that this effect is not localized, it seems to have occurred everywhere. Will the mysterious stranger they encounter on the surface help them solve the puzzle, or will he endanger everything, everywhere, for all time? 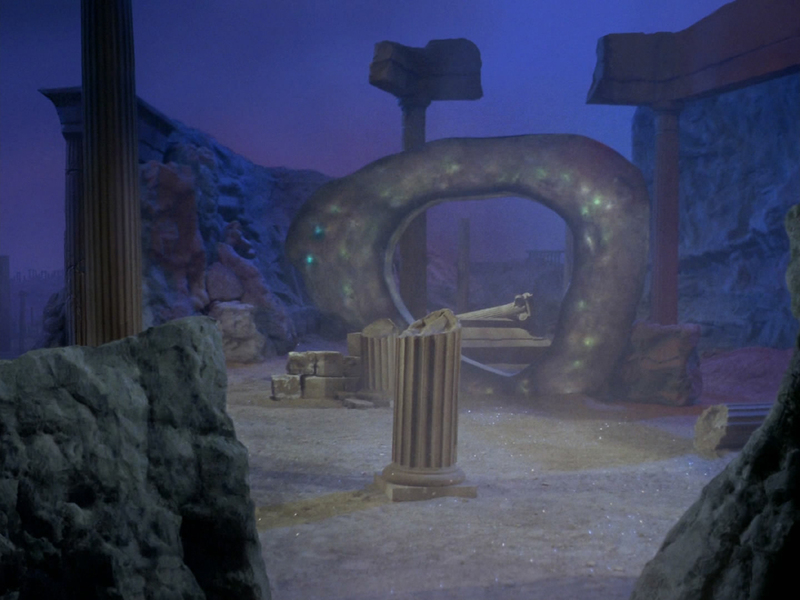 The Enterprise is sent to a vital mining planet which supplies the needs of many colony worlds. People and equipment are being destroyed by some mysterious force below. Can our intrepid crew discover what is causing the destruction, and stop it? The Enterprise is sent to recover the remains of what it believes to be a failed colony on a planet subject to an invariably fatal form of radiation. Instead, they find the colonists alive and well. They seem perfectly happy, too happy in fact. As the mysteries compound, it becomes clear that not all is as it seems on this colony, and the secret of the colony's impossible survival may threaten the Enterprise. I recently took a Creative Writing course where I discovered a poetry form I'd never heard of before--the double dactyl. It quickly became my favorite, and I've found it great for writing Trek poetry. One of the defining characteristics of double dactyls, in addition to the rhythm, is that each poem is about a person, real or fictional. The first I co-wrote with Matthew. The rest are mine. Rich Portnoy has posted on YouTube some terrific footage he shot on 8mm film at a Star Trek convention in Chicago in 1975. There's no sound, but the images are just priceless. Nichelle Nichols with an afro is fantastic, and everyone looks legitimately happy to be there. I love the internet! The Enterprise is tasked with establishing diplomatic relations with a curiously recalcitrant world. Why are the inhabitants of Eminiar VII so isolationist? And when the Enterprise discovers their horrifying secret, will they be able to escape? "PC Load Letter?" WTF does that mean? Congrats to Barney Burman, Mindy Hall and Joel Harlow, Oscar winners for Best Makeup for Star Trek (2009)! Not that it's difficult to make an Orion girl look good, but hey, that green makeup was artfully applied. 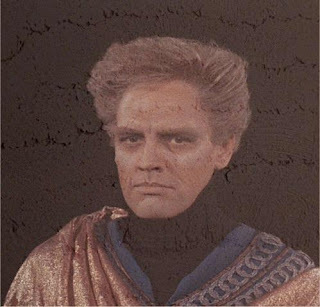 The Enterprise discovers a world where the people are euphoric zombies controlled by an unseen leader, Landru. Disobedience to this leader is met with swift consequences. 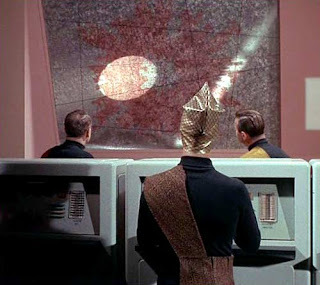 Several Enterprise crewmen have been taken and apparently brainwashed. 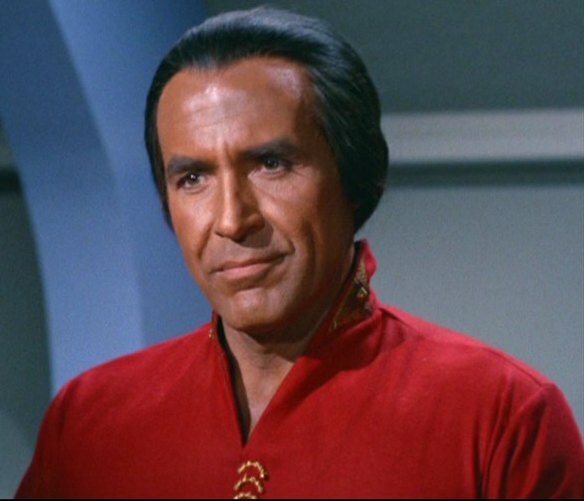 Can Kirk free his people and this planet from the mysterious Landru? Are you of the body? Click "Read More" to find out!